This submission comes from my former student Chris Brown. His topic: how to engage students when teaching box and whisker plots. My all-time favorite TV show as a child was Pokémon. This show is still a staple amongst the young and even adult generation of today. The activity that I have created, was designed to take place after a formal lesson over how to create Box and Whisker plots. For this activity, students will be given a labeled bar graph of the Pokémon Type Distribution for generations 1 through 6 of Pokémon, which I have listed an online data source below. The students will be tasked with identifying the top 7 Pokémon types and creating a Box and Whiskers plots for each of those types. They will then go through and analyze the consistency of the creation of Pokémon for that specific type and then compare contrast this same box plot to any other box plot of their choice. The students will then make predications for the number of Pokémon for each of the top 7 Pokémon types, for generation 7 and base their reasoning in the box plots they created. Then the student will finally research the type distributions for the 7th generation of Pokémon, and discuss how the actual number compares to their prediction. From my experience, Box Plots are first taught in the early middle school years, in 6th or 7th grade. When constructing box plots by hand, in its essence, box plots require knowledge of how to order sets of numbers from least to greatest; an understanding and ability to find the maximum, minimum, median, and mean of a data set; and lastly, critical thinking and analytic skills developed from general course content. Box plots allow students to combine each of these skills to effectively analyze data sets with ease and compare different data sets with precision and accuracy. If any or all of these skills are not quite up to par, students will have an opportunity to develop them through box plots as they spend time creating them. For all students no matter their level, they will still gain better insight on how to properly analyze data and grow as analytical thinkers as they take the represented data and turn it into meaningful interpretations. In a classroom, I personally believe that Desmos is a wonderful online tool that can aid students in the understanding of how box and whisker plots function, and also a great place to check their work. Desmos, which is linked below, gives students the ability to list as many data points as they need to, and concurrently creates a box plot as they do so. In this way, students are able to see how singular data points can skew the data in significant and insignificant amounts. What I also love about Desmos is that, the list of data points does not have to be in any kind of order, so students do not have to worry about that tedious step! Desmos also lists the 5-point summary in two different places, on the box plot itself, and also on a drop-down menu, which is super convenient. Lastly, I love how Desmos also displays the mean of the data set as well, students can calculate the skew of the data, and definitively determine how it is skewed. This is a super visual, and interactive tool that will allow the student to manipulate box plots so seamlessly they will not be focused on the tediousness of the setup and solely on the concept. I got a kick out of reading this retrospective of Texas high school slide rule competitions… including a 1959 picture of Janis Joplin on her high school slide rule team and a 1980 Dallas Morning News article eulogizing the competition. Today, I’d like to discuss a common mistake students make in trigonometry… as well as the one-liner that I use to (hopefully) help students not make this mistake in the future. Question. Find all solutions (rounded to the nearest tenth of a degree) of . Erroneous Solution. Plugging into a calculator, we find that . The student correctly found the unique angle between and so that . That’s the definition of the arcsine function. However, there are plenty of other angles whose sine is equal to . This can happen in two ways. 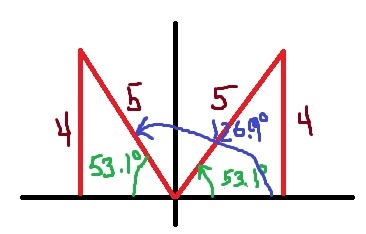 First, if $\sin x > 0$, then the angle could be in either the first quadrant or the second quadrant (thanks to the mnemonic All Scholars Take Calculus). So could be (accurate to one decimal place) equal to either or else . Students can visualize this by drawing a picture, talking through each step of its construction (first black, then red, then brown, then green, then blue). However, most students don’t really believe that there’s a second angle that works until they see the results of a calculator. Second, any angle that’s coterminal with either of these two angles also works. This can be drawn into the above picture and, as before, confirmed with a calculator. 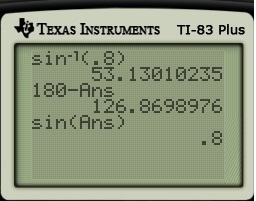 So the complete answer (again, approximate to one decimal place) should be and , where is an integer. Since integers can be negative, there’s no need to write in the solution. Therefore, the student who simply answers has missed infinitely many solutions. The student has missed every nontrivial angle that’s coterminal with and also every angle in the second quadrant that also works. Here’s my one-liner — which never fails to get an embarrassed laugh — that hopefully helps students remember that merely using the arcsine function is not enough for solving problems such as this one. You’ve forgotten infinitely many solutions. So how many points should I take off? For further reading, here’s my series on inverse functions. To give my students a little appreciation for their elders, I’ll demonstrate for them how to use a slide rule. Though I have my own slide rule which I can pass around the classroom, demonstrating how to use a slide rule is a little cumbersome since they don’t have their own slide rules to use. The unusual command for cell A1 was necessary to get the correct rearrangement of the series. Filling down to additional rows demonstrates that the sum converges to and not to . 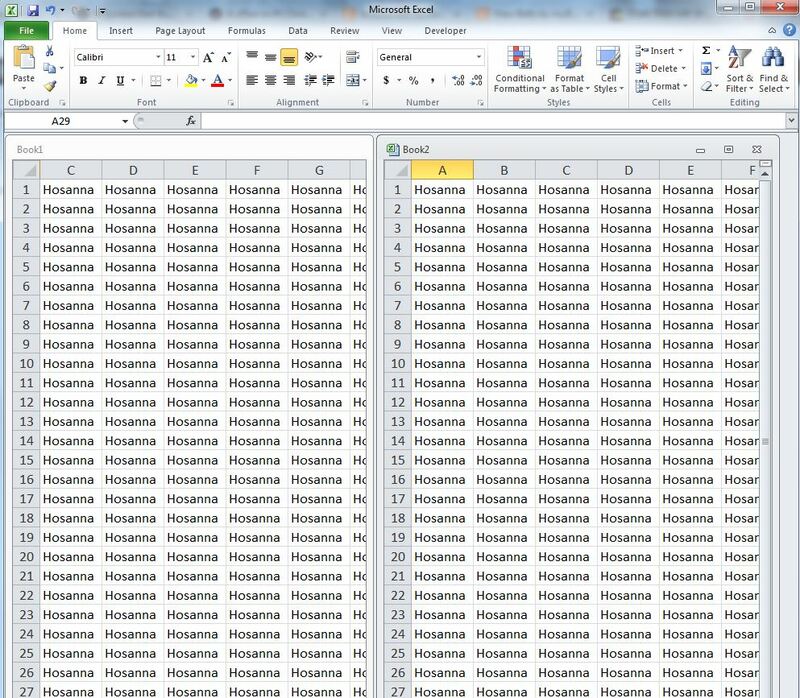 Here’s the sum up to 10,000 terms… the entry in column E is the first few digits in the decimal expansion of . In recent posts, we’ve seen the curious phenomenon that the commutative and associative laws do not apply to a conditionally convergent series or infinite product. Here’s another classic example of this fact that’s attributed to Cauchy. Filling down to additional rows demonstrates that the sum converges to , albeit very slowly (as is typical for conditionally convergent series). 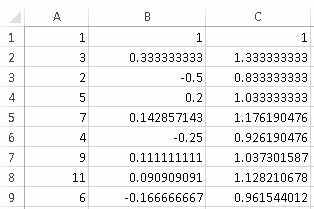 Here’s the sum up to 200 terms… the entry in column E is the first few digits in the decimal expansion of . 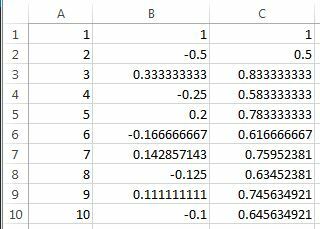 We see that, as expected, the partial sums are converging to , as expected. Unfortunately, the convergence is extremely slow — we have to compute 10 times as many terms in order to get one extra digit in the final answer. From the video’s description: “Data scientist Cathy O’Neil provides a glimpse of the methods that Netflix, Google, and others apply to recommend or offer to users selections based on their apparent interests.” This is a non-intuitive but real application of linear algebra. Dr. Genetha Gray talks about her path and about a research problem that she worked on at Sandia National Laboratories. Using quite limited geological data, they had to create a groundwater flow computational model, with parameters to be determined, so that they could study the feasibility and safety of prospective subsurface nuclear waste storage sites. Prof. Gwen Spencer of Smith College introduces the mathematics behind optimization, calibration, and the quantification of uncertainty in models and in the results that they give.